Last edited by owlice on Mon Feb 27, 2012 12:03 pm, edited 1 time in total. Additional images will be posted this evening; thanks to all for sharing! 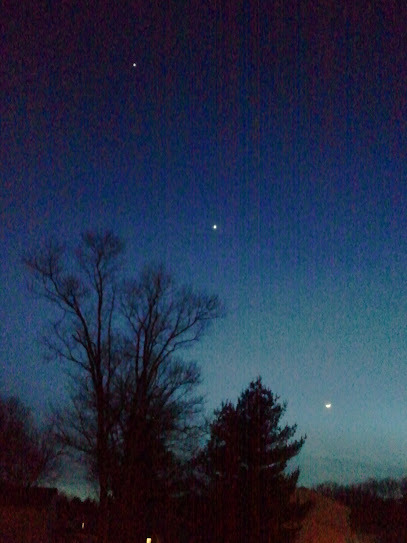 Moon-Jupiter-Venus Vertex over Springfield, Missouri. Picture taken Feb 26, 2012 by Chuck Shepherd. Last edited by owlice on Mon Feb 27, 2012 1:51 pm, edited 1 time in total. While all the images in this submission gallery are individually pleasing, what I really like here is the gallery itself... the sense of a single astronomical event witnessed (near) simultaneously all over the world, with various geologic or cultural elements in the foreground. A gallery like this really emphasizes that we all live on one world, in the same way pictures of Earth from space does. 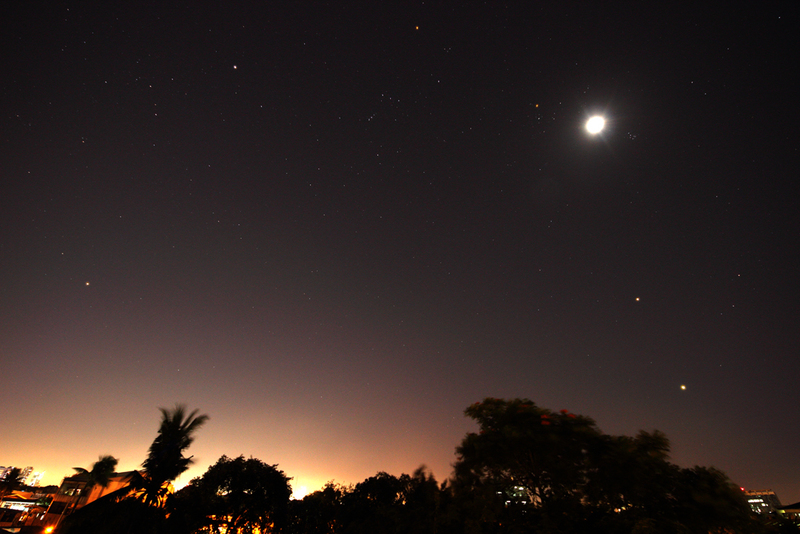 Mercury at lower right with branch pointing to it, Venus, the Moon, and Jupiter. 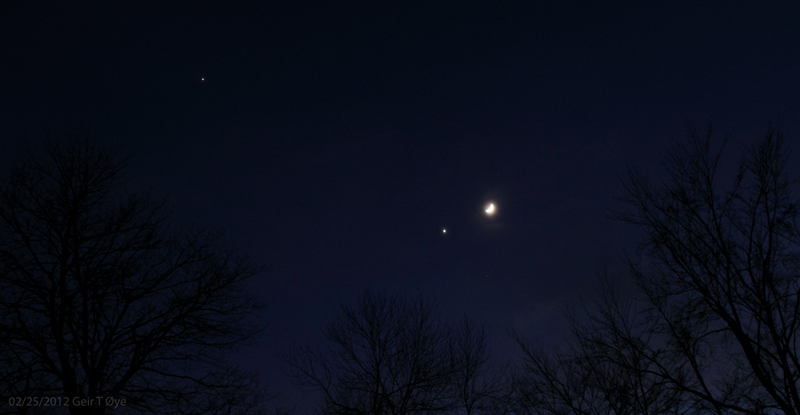 Tonight's Mercury, Venus, Jupiter, and Waxing Crescent Moon. Last edited by bystander on Sun Mar 18, 2012 1:24 pm, edited 1 time in total. Chris Peterson wrote: While all the images in this submission gallery are individually pleasing, what I really like here is the gallery itself... the sense of a single astronomical event witnessed (near) simultaneously all over the world, with various geologic or cultural elements in the foreground. A gallery like this really emphasizes that we all live on one world, in the same way pictures of Earth from space does. This is the conjunction captured over four nights, at about the same time (24 Feb - 27 Feb, ~18:50 MST), by my video allsky meteor camera. 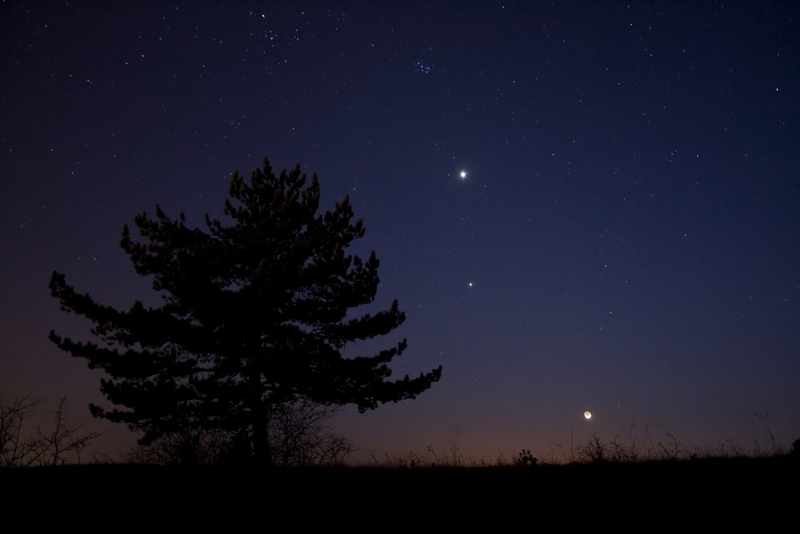 You can see the nightly eastward movement of the Moon, and also the slight closing of Jupiter and Venus. About a 10 sec exposure, f5 . . . Here are my scenes from Feb 26 this was truly a beautiful clear night! 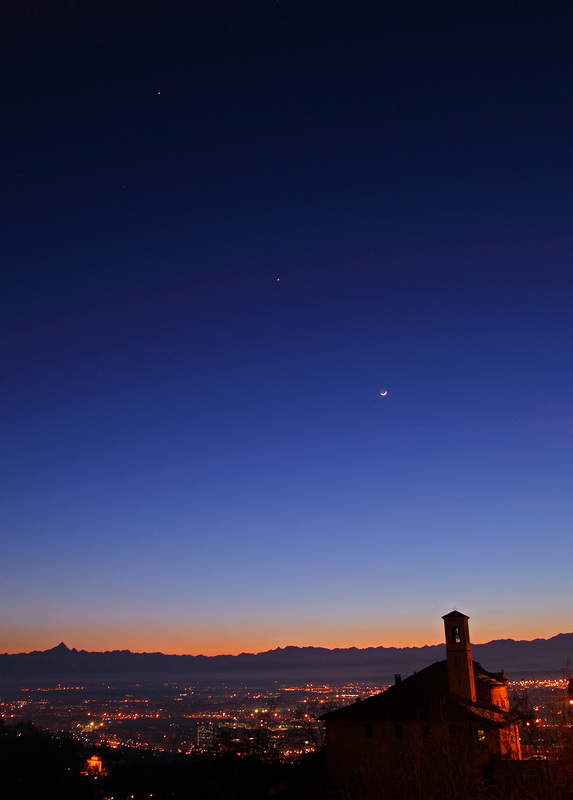 Monday's Venus, Jupiter, and Waxing Crescent Moon alignment at St Augustine Cathedral. Just a quick picture I snapped on my way home. Unfortunately, I didn't have time to make it anywhere darker, so I took a seat on the bench and took a couple shots of me staring up. 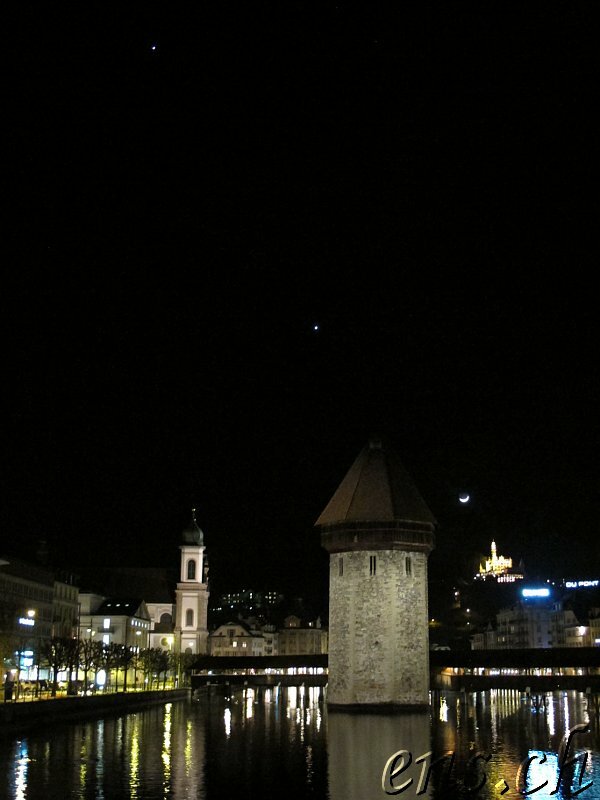 The picture from Turin also has Mercury in it - just to the left and above the tower at the bottom. Last edited by owlice on Thu Mar 22, 2012 9:44 am, edited 1 time in total.